Jeff Kelso's Bend Bucks needed a key hit in this August 1989 game and Kelso was there to deliver, according to The Bend Bulletin. Kelso knocked a single to left-center in the eighth inning, driving in what turned out to be the winning run, The Bulletin wrote. "He threw me a slow, slow curve ball," Kelso told The Bulletin of how the pitcher tried to set him up. "Then I thought 'He's going to come with a fastball.' It was a good pitch, low and inside, and I saw it and hit it." Kelso hit that in his second pro season. He got to hit in just one more. His career lasted three seasons. He never saw AA. Kelso's career began in 1988, taken by the Angels in the ninth round of the draft out of the University of Missouri. Kelso is the son of the late Bill Kelso, who played parts of four seasons in the majors. 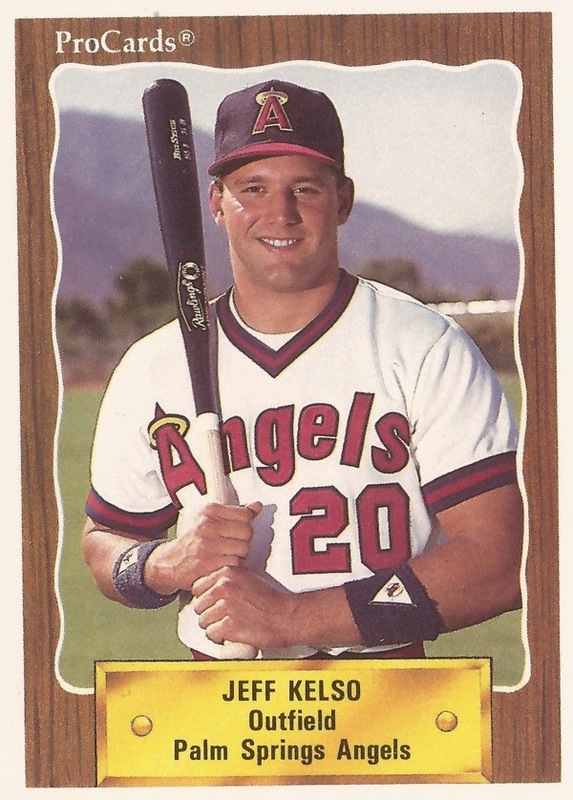 Kelso's pro career began at short-season Salem. The outfielder played in 32 games. He hit just .136. He hit a double and a triple in an August game. He returned to Bend in 1989, getting a few games at single-A Quad City. He hit .222 overall, with four home runs. Two of those home runs came on the same night, an August win for Bend. In 1990, Kelso tried his hand at a new position, pitcher. He played between the rookie Arizona League and Quad City. He went 2-4 in 16 outings in Arizona, with a 8.93 ERA. At Palm Springs, he got into four games in the field and one as a pitcher. It was his final season as a pro.